Breaking News! 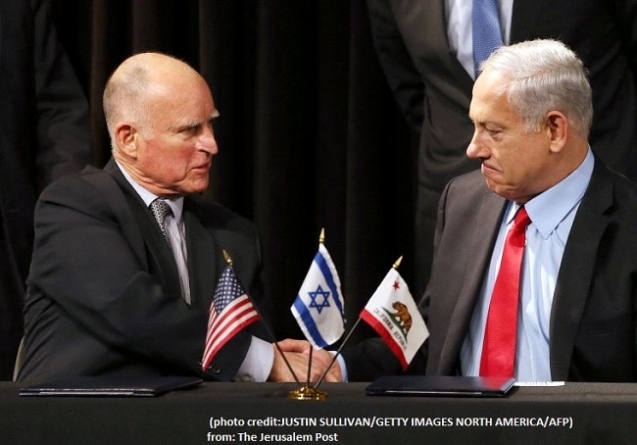 California Governor Brown Signs Anti-BDS Bill into Law. On Saturday afternoon, September 25th, the governor of California signed in to law a bill to stop the anti-Semitic BDS movement. The bill, Assembly Bill 2844, only had two objectors in the entire California legislature, one in the House and one in the Senate. If you engage in discrimination against any sovereign State, including Israel, you will not do business with the State of California. This is stunning achievement as California State Universities have been featured in documentaries with massive, and successful, radical protests – “Israel Apartheid Day” rallies that fly banners calling Jews “Nazis,” accusing Israel of Apartheid measures against Palestinians and other terrible anti-Semitic propaganda pushed by Muslim groups backed by Hamas and Islamists. Several campuses of the University of California have voted to divest funds form companies doing business in the West Bank territory of Israel. These companies include Caterpillar, Motorola, Hewlett Packard, and GS4, a security company. These same companies have been the subject of divestment measures by several Universities and Christian church denominations. Why have these companies been targeted? 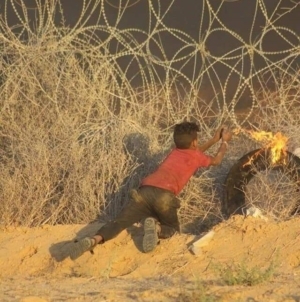 Read details about Caterpillar employing Palestinians and how Motorola and Hewlett Packard are providing security to Jewish citizens from terror attacks – on Church4Israel. Here is the truth and the objections. 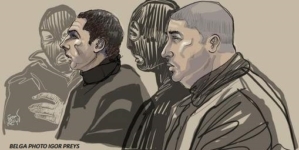 The Palestinian Authority, the ruling governing body of the Arabs residing in ancient Judea and Samaria area of Israel, known as the West Bank, encourages the Palestinians to commit terror attack against Jews. If a member of the family will attack or kill a Jewish Civilian in the area, the family is financially rewarded, proving for them a yearly income. This has been denounced internationally but no one can stop it. To offset this encouragement for terror, Israel decided to “bulldoze” the home of any caught terrorists. The anti-BDS, anti-Israel extremists say that Israel is bulldozing the homes of innocent Palestinians and they are using Caterpillar bulldozer to commit “human rights violations.” They do not talk about the hundreds of daily terror attacks committed by Palestinians on the Jewish people. Nor do they mention that Caterpillar’s equipment is used to build roads in the West Bank used by both Arabs and Jews and that the Palestinians are employed by Caterpillar in high paying jobs to run equipment. 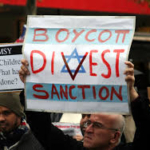 The BDS movement degraded as California passes anti-BDS bill. The other three companies are all security related, helping protect the Jewish people form the terror attacks. Motorola provides the security cameras hidden in the trees in the West Bank so that they do not have to build walls or extreme fencing between the Jewish and Arab neighborhoods in the West Bank. The Motorola camera system stopped a terror attack in Efrat, a Jewish neighborhood south of Jerusalem, just weeks before this bill was signed. 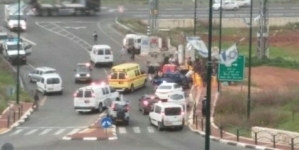 You can read about the thwarting of the Efrat terror attack here. Hewlett Packard supplies a biometric access control system used for work permits for Palestinians that have to travel into Israel. This has been used to stop the bus bombings by Palestinian terrorists from Gaza. G4S, the fourth company, provides security to Jewish businesses in the West Bank and supplies luggage scanners at various checkpoints to check for bombs. Divesting and attempting to cause economic harm to these companies is actually supporting terrorism in Israel. The legislators in Sacramento have seen the terrorist propaganda for what it is and know what a great friend and trading partner they have in Israel. Israel’s water technologies may just be what saves California from their incredible drought. The Bill requires, similar to the Alabama bill passed earlier this year, which any contract over a certain amount will have to be certified under penalty of perjury that they company or agency is not involved in boycotting or any discriminatory act. It will be interesting to see how the leftist professors that encourage this rhetoric and the student unions on California campuses react to this new law. How will California enforce it and get the Universities that have already put in divestiture measures in place be corrected? San Jose University becomes fist California State University to pass student government BDS Resolution. Robin Rowan is a recipient of the 'Secretary of Defense Medal for the Global War on Terrorism." After many years in government oversight for U.S. Inspectors Generals, Ms. Rowan conducts extensive research and mandates truth over politics. She is a political activist for the US- Israel relationship, serving as lay lobbing leader and six years on the National Council of the American Israel Public Affairs Committee (AIPAC). 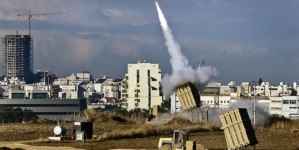 (Views expressed do not reflect views of AIPAC.) An ordained minister, she speaks to Churches of all denominations on Israel and the importance of the Christian advocacy and engagement in politics. Webinars and a weekly podcast are in development. Sponsorship of this work is encouraged. 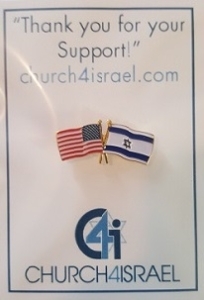 Robin can be contacted at Church4Israel @ gmail.com.